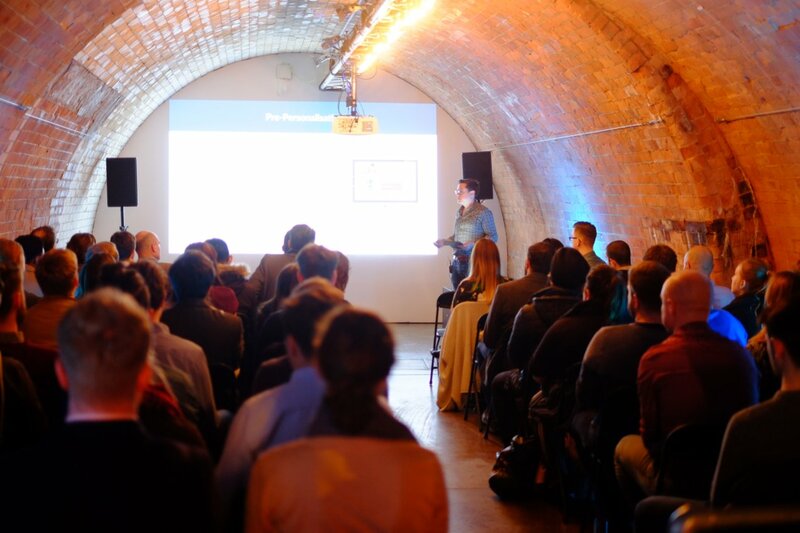 At our latest London event, CRO on Tap, we brought together 3 conversion rate optimization experts to share their two cents on personalization: Andy Chittock from CRO agency Conversio, Michel Koch, former CMO at Time Inc., and our very own Alexandre Anquetil from the AB Tasty Customer Success Manager team. ‘True personalization’, ‘1:1 personalization’, ‘real one-to-one marketing,’ ‘truly individualized messages’…the marketing and customer experience (CX) world is inundated with these kinds of buzzwords. 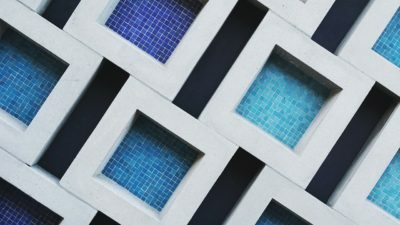 The overwhelming feeling is that if you’re not using razor thin segmentation – or indeed, eschewing the notion of ‘segmentation’ altogether – you’re behind the times. 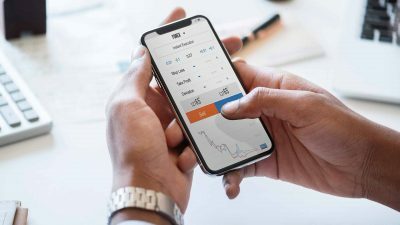 While the idea of using a single customer view to personalize experiences across devices and channels in real-time is indeed exciting, it’s also a huge business endeavor. Contrary to popular belief, it’s also not the only way to gain ROI from personalization. Classic rule-based personalization using broader audience segments and message triggers is a much more realistic place for those new to personalization to start. In the classic approach to customer segmentation, the focus is transactional; the well-known ‘Recency, Frequency and Monetary Value’ approach. 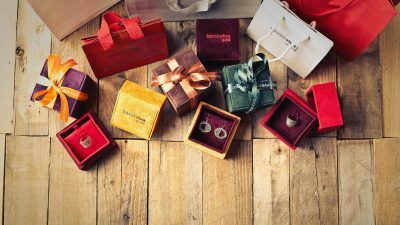 This is an excellent and in fact necessary place to start – but today’s buyers are also used to feeling as if companies really know them; their personalities, motivations, and outlook on the brand. For building personalization campaigns, it’s useful to also think in terms of psychographics: interests, lifestyle, values, attitudes and so on. These segments demonstrate distinctive visitor and buying patterns, and specific transactional and behavioral attributes. By combining RFM and such psychographic information, you can build campaign triggers, content and tone of voice more likely to ring true with your customers. This doesn’t have to be a huge endeavor in the beginning. Michel shared that generally speaking if you have over ten thousand contacts in your database, you can start thinking about building 2 or 3 personas, which is plenty to start out with. Truly large companies with vast pools of data might aim for ten or twelve persons, but any more than that becomes unmanageable. 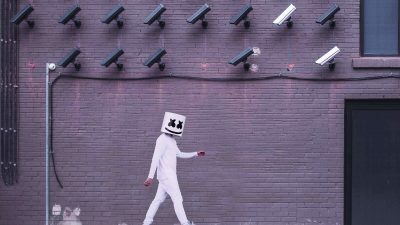 Companies must try to understand why their customers are customers: what they aim for, what’s unique about them, and who are they as individuals. For Andy, there’s a threefold process: Mine your Data, Qualify your Data, and then Personalize. Andy’s advice is to take a nice, big data extract with a wide date range (one year, give or take). One of his tips was to take advantage of Google Query Explorer, not just standard GA reports. Start filtering with something easy; device, geography or user type are good places to start. 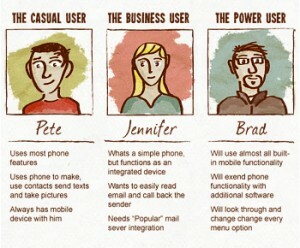 Now look for trends to untangle user segments. Who are they shopping for? Are they here to buy or here to browse? Have they previously bought on your website before? 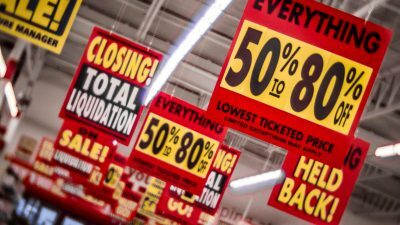 Are these genuine UX issues or a pricing/stock availability problems? Once you have these cards in hand, you’re in a much better position to start building effective personalization campaigns. 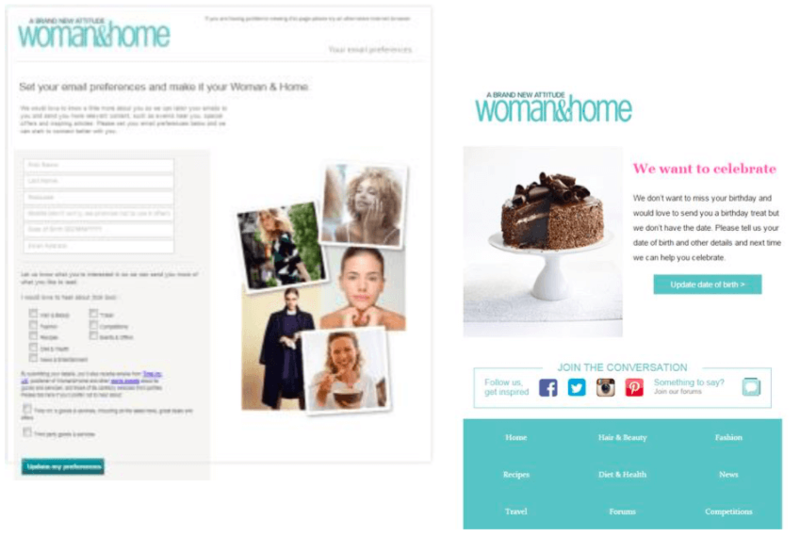 The French online retailer La Redoute decided to design a personalization campaign to boost their newsletter subscribers (generate leads). They used AB Tasty to trigger a pop-in for only first-time visitors. 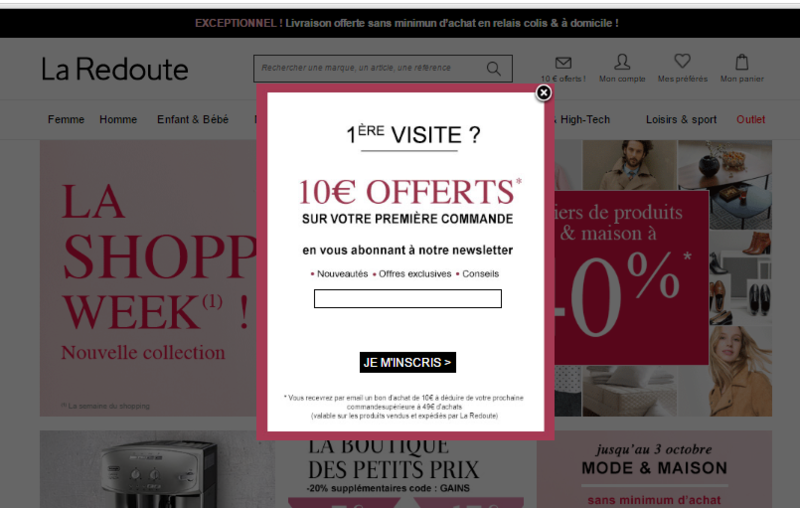 It included a great incentive: 10 euros off a purchase if they signed up for the newsletter. The result? La Redoute boosted their subscribers by 79%. 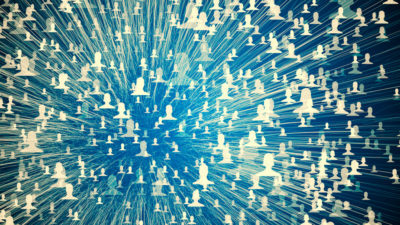 Consumer data is the backbone of any personalization campaign. This makes it tempting for marketers to try and collect as much information as they can at the very first touchpoint. 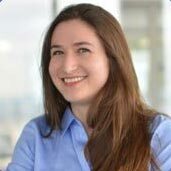 But watch out, warns Michel – most people aren’t going to go through the ‘pain’ of filling out a long form, and you’ll risk seeing your conversion rates plummet. What’s a better solution? Progressive profiling. Thanks to dynamic landing pages and forms, you can prioritize the information you want to collect from consumers. How you do this will depend largely on your vertical, but most people start with basic contact information (email, maybe phone number) and name. This is all you need to ask for an initial touch point. 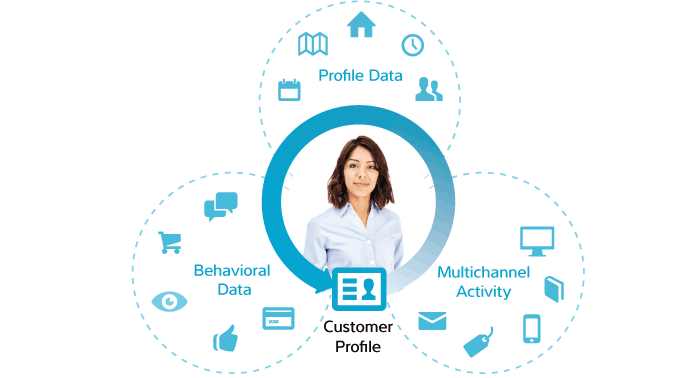 After that, you can begin filling out the customer profile, either with dynamic forms that ask different questions for each subsequent interaction or by collecting behavioral data (so-called ‘passive capture’). To determine in what order to collect what data, you should establish a hierarchy of attributes that match your business KPIs. An e-commerce site, for example, will be much more interested in knowing a consumer’s gender, age, and color preferences, than would be, say, a B2B SaaS solution. In all of this, consumer consent is hugely important – especially with the GDPR coming into effect May 25, 2018. Companies dream of a single customer view, or a unified database where everyone contributes and can search through to enrich their marketing or CX initiatives. But equally important is the flip side – creating a consistent, seamless brand experience for consumers across devices and channels. This is a huge part of the notion of the Age of the Customer, the Mobile Mind Shift and similar: creating a totally coherent experience of a brand, no matter where you are. If a shopper begins a purchase on their smartphone, they should be able to seamlessly complete it on a desktop. Likewise, the tone of voice should be more or less consistent on a company’s social media site as on their brand website (taking into account social’s slightly friendlier tone). Perhaps the hardest gap to fill is the one that separates online and in-store experiences. Even though digital stores can display a much wider product range, shoppers need to still feel as if they have access to the most relevant products on a website and in a brick-and-mortar location. Even things like how products are packaged have a big impact on the brand experience. One of Michel’s retail clients used to ship online orders to customers in uninspiring plastic bags, whereas in-store purchases were nicely wrapped up in stylish packaging. All of these touch points add up to the brand experience, and incoherences can create an unsatisfying overall CX. These kinds of problems often arise when brand marketing teams aren’t working with direct consumer marketing teams, or teams in charge of promotions; branding teams might spend considerable effort creating a logo and design elements that speak to an upscale audience and create an aura of luxury – only to have the direct marketing team issue ads for large discounts, undermining those very branding efforts. Alignment in this area is key. As with any website optimization initiative, the golden rule is always: test and learn. 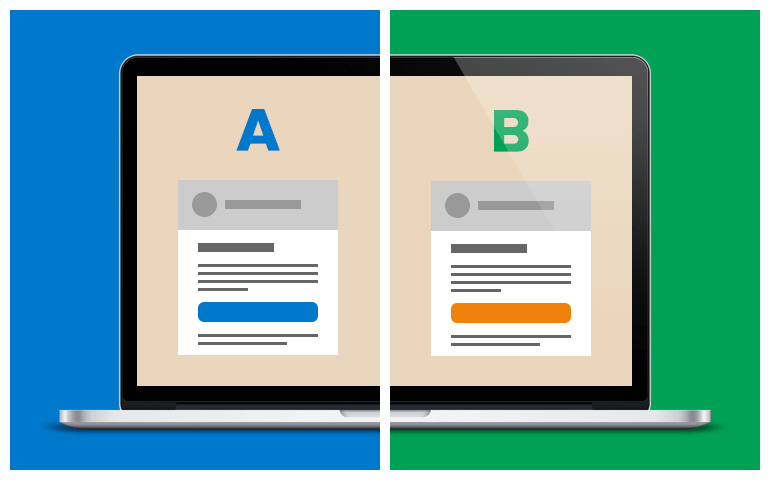 Whether it’s about defining your KPIs, building user personas or establishing the right messages and triggers, testing your ideas, with an A/B testing tool or similar, is the only surefire way to know whether you’re heading in the right direction. 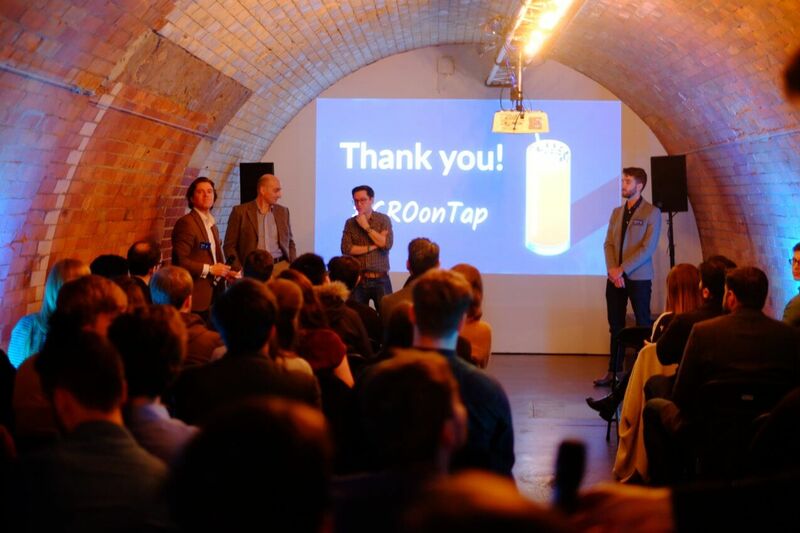 Want to attend the next CRO on Tap event in London? 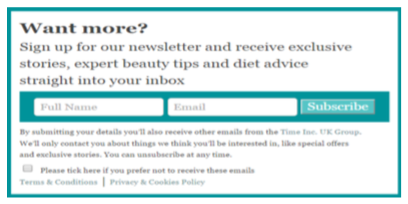 Sign up for our newsletter below to stay tuned!